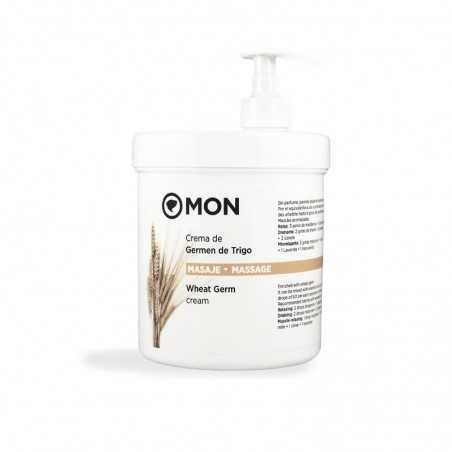 Wheat Germ Massage Cream Mon Deconatur. Perfect for massages and to moisturize very dry skins. Great hydration power and high vitamin E content. The wheat germ cream is the cream base par excellence. 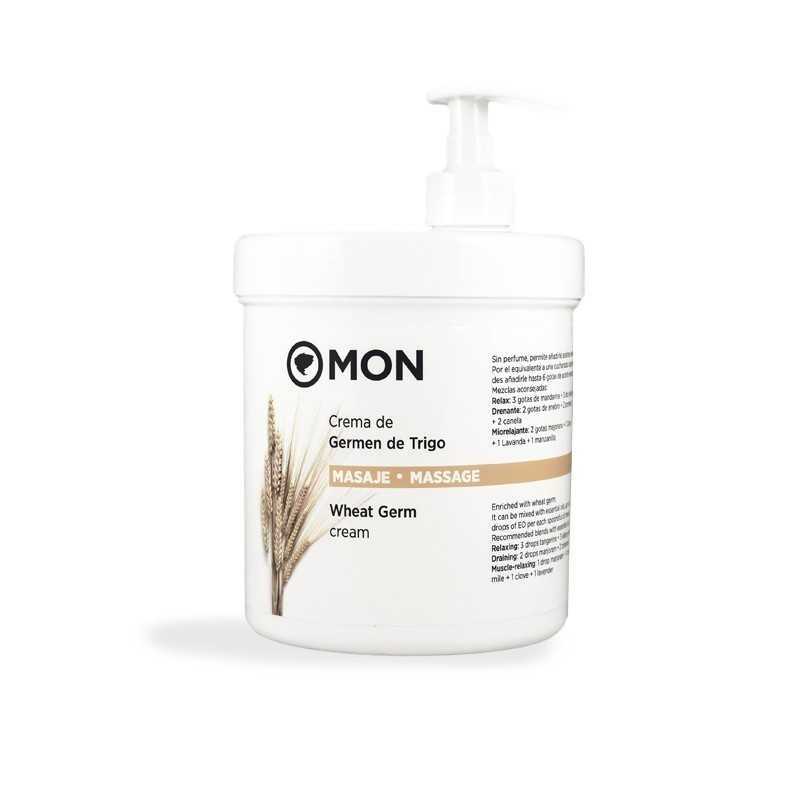 Its composition makes it ideal for professional body massage thanks to its high hydration power and high vitamin E content. For massage and ultra dry skin. With a new formulation more nutritious, perfect for massages and to moisturize very dry skins. It spreads a lot, does not contain perfume and allows you to customize it by adding natural essential oils. Customize this cream by adding your favorite essential oils. Put 2-3 drops of one essential oil for each tablespoon of cream. You need to relax? 3 drops of mandarin + 3 Ylang-Ylang. Do you need a drainage effect? 2 drops of juniper + 2 grapefruit + 2 cinnamon. Aqua (water), Paraffinum Liquidum (mineral oil), Cetearyl Alcohol, Glycerin, Triticum Vulgare (wheat), Germanic Oil, Ascorbyl Palmitate, Tocopherol Acetate, Triethanolamine, Sodium Cetearyl Sulphate, Bht, Potassium Phosphate, Disodium Phosphate , Tropolone, Imidazolidinyl Urea, Caprylylglycol, 1,2-Hexanediol.